Q. After the death of the first partner or spouse, all the assets will be solely owned by the surviving spouse/ partner. What happens if the surviving spouse/partner remarries? A. The inherited estate could be lost to the new spouse, disinheriting your children. After the death of the first spouse/partner, the first life assurance will pay out into your estate and inheritance tax could be payable if this takes your estate over the Nil Rate Band. 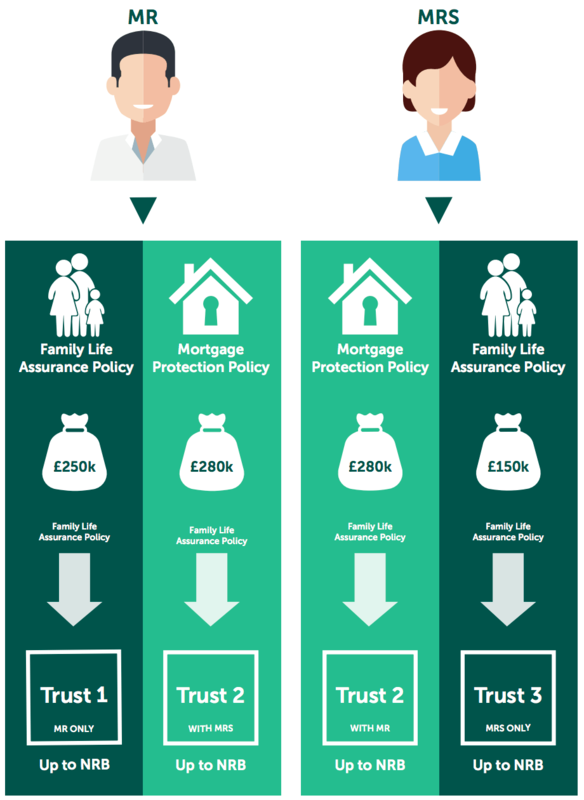 After the death of the second spouse/partner, the second life assurance pays out, which will add more value to your estate and add further inheritance tax liabilities for you and possibly your beneficiaries down the line. Q. After the death of the first spouse/partner, the life assurance benefits pass into the estate of the surviving spouse/partner. What happens if the surviving spouse/ partner needs care? A. The whole estate would now be assessed for care which may include any life assurance benefits from the deceased. Q. What would happen if the surviving spouse/partner were to be subject to creditor claims/bankruptcy? 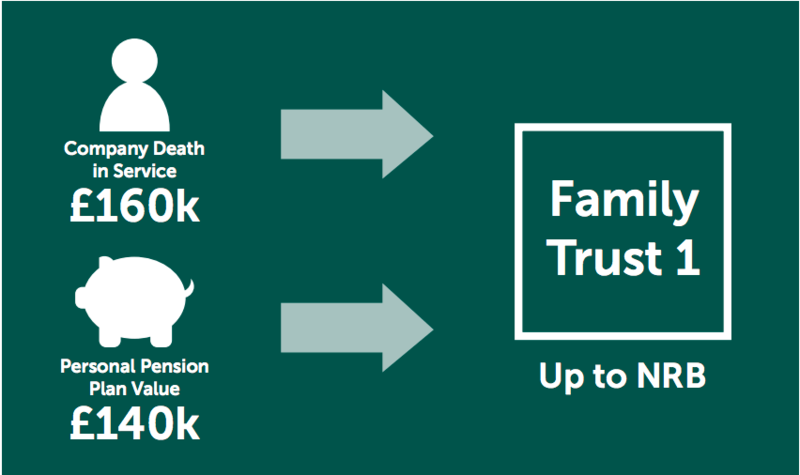 While these scenarios are very worrying, there is an answer – assign each life assurance policy to a Trust, with each Trust receiving assets up to the available Nil Rate Band of inheritance tax. This means that rather than the benefits of each policy passing to the surviving spouse/partner and being exposed to risk, they pass into the nominated Pilot Trust and are protected. Q. If the death benefits pass to the surviving spouse/ partner after their spouse dies, what happens if the surviving spouse/partner remarries? A. All or part of the pension fund could be lost to your children upon the spouse’s/partners subsequent death or divorce. Q. If the death benefits pass to the surviving spouse/ partner after the death of their partner, what happens if the surviving spouse/partner needs care? A. The whole estate would be assessed for care which may include any pension benefits considered available to them. Put in place a carefully worded and bespoke nomination for each pension provider. This will provide the best level of flexibility and efficiency following your death, whatever type of pension you hold.